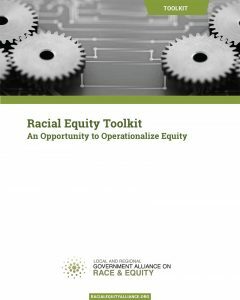 Racial equity tools are designed to integrate explicit consideration of racial equity in decisions, including policies, practices, programs, and budgets. It is both a product and a process. Use of a racial equity tool can help to develop strategies and actions that reduce racial inequities and improve success for all groups.